Each week, FirstBank officers converge to a sharply appointed boardroom for “Loan Committee,” where we review loan requests that exceed certain thresholds. Over the course of 90 minutes, officers present certain loan deals in front of executives and staff. 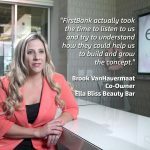 It’s unusual compared to other institutions, but it’s also what makes FirstBank unique and enables us to help businesses grow. As a result of this process, we’ve watched amazing stories take shape. We’ve seen officers present solutions that help new custom homebuilders – who couldn’t get a loan anywhere – get financing. Not only did that same custom homebuilder get the funds needed to go from building small budget houses to $3 million homes, they even captured the attention of HGTV, leading to their own show. A few years ago, I had a client with a multi-million dollar loan for a large commercial office park. They were losing tenants left and right and about to default. But here’s the thing: they didn’t. They were transparent about their difficulties, and we worked together to find a solution. They eventually found a buyer to purchase the commercial property, covering the loan in full and leaving them in the black. 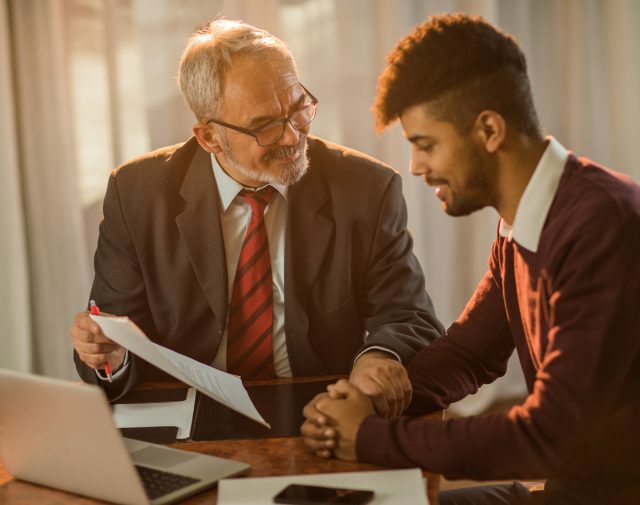 As lenders, these are the kind of resourceful experiences and character-defining moments that make us more willing to take on additional risks with a sponsor. How you operate and your performance on previous transactions tell us a lot, and in some cases, plays in your favor. Not an Expert? Bring One In. We need to trust that you or your partners have the knowledge and resources to execute on a project. We lean on your knowledge and track record to assure us that this is a deal worth making. If you’re venturing outside of your comfort zone — in an industry or business venture you’re not overly experienced in — bring in another party who is. There Should be Some Skin in The Game. Are you playing with house money? Or is it your money? Banks like to know that you have “skin in the game” should your project face challenges. The point is, if you have something to lose, chances are you’ll be more motivated in helping ensure your project/business succeeds. Personal guarantees can help banks get more comfortable with uncertainty. For instance, we may wonder if you can really find a buyer for five new townhomes in a new neighborhood? Or hit your production numbers to make your monthly payments? You can make a strong impression when you pledge your personal funds in support of a deal.